Theme has a separate Landing Page template to create a full width landing page that does not display: header, navigation, sidebar and footer areas. 1. In WordPress Dashbaord, go to Pages > Add New option. 2. Type title for the page (any as per your choice). 3. 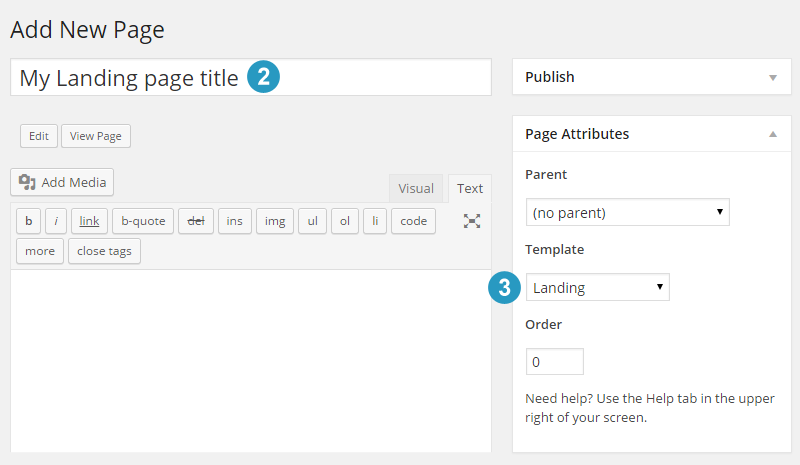 Then select Landing from the ‘Template’ drop down box under the Page Attributes section. 4. Click the Publish button and your landing page is ready.